"An Ounce of Prevention . . ."
(pronounced "nose cone"). Simply attach the adjustable hook & loop strap onto your glasses or goggles and go! a 50+ SPF UV protection rating...this is a top rating! 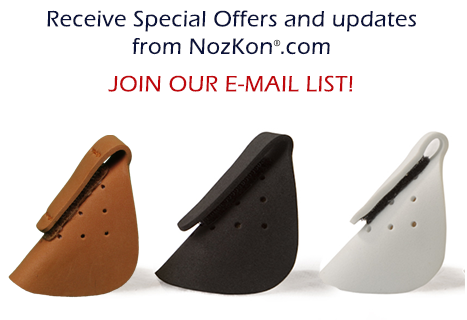 The nozkon is simply the best nose cover protector available to date. made of a thin, soft, comfortable, ergonomically shaped foam outer shell with a thin, soft, textile inner pad. 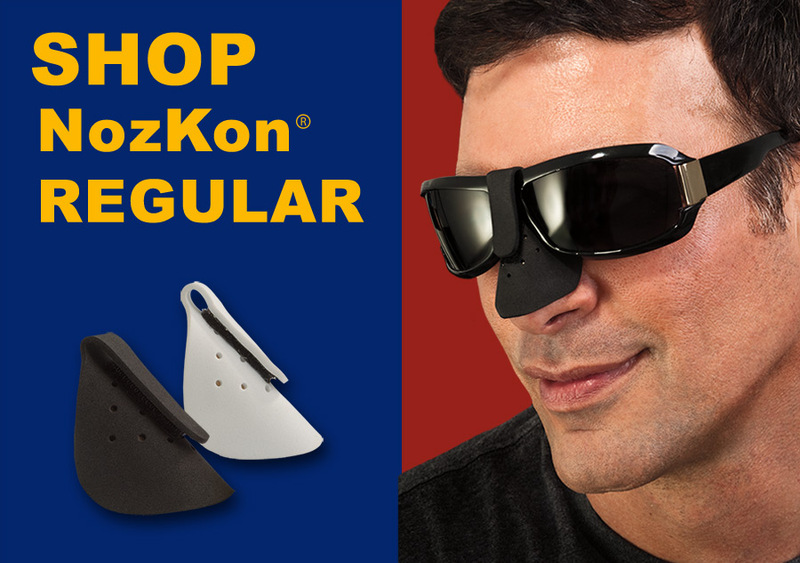 is a unique, patented, marine-grade nose cover / protector that can guard against UVA / UVB radiation as well as wind burn and cold. attaches easily to glasses and goggles. Its hook & loop strap allows great adjustment for a perfect fit. can be trimmed with scissors to make it fit smaller noses. One size fits all! in any kind of weather. It is comfortable in both hot or cold environments. is highly buoyant; it can float most plastic sunglasses! , try it on your favorite pair of sunglasses while looking in a mirror. in place. It's that simple! If the above still does not achieve a good fit, try it with a different pair of glasses. If your trim cut seems ragged, use a fingernail file to smooth down the edge. 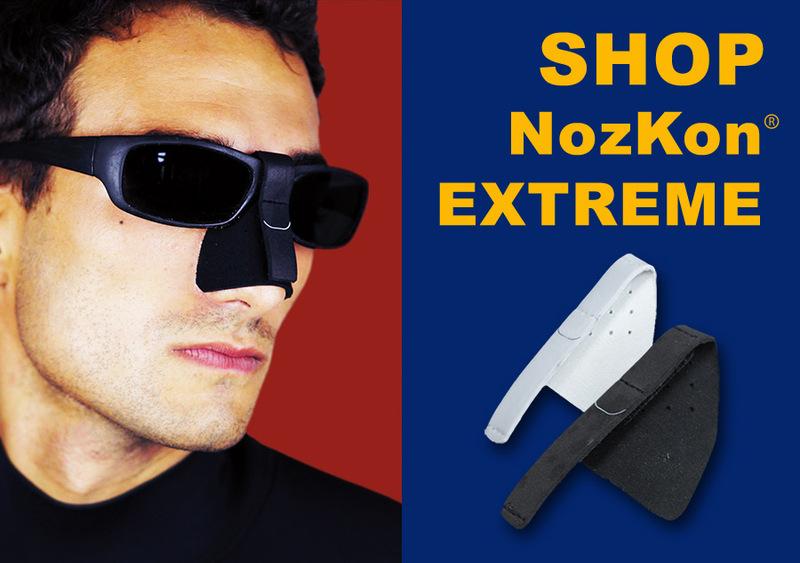 "Please know that the NozKon is the ultimate protective creation for nose protection. ps. I won 2 gold medals in the 69-74 age group, so am feeling rather excited. I can't say it was my NK that helped me win, but it obviously didn't hinder my playing ability!!"